There’s a great Jerry Seinfeld comedy bit that perfectly sums up how some people feel about public speaking. In my experience working with clients, I’m afraid that I have to agree. Speaking in front of people is a fear born right out of “show and tell,” back when they were a kid. Getting up in front of the entire class and having to speak for a few minutes was terrifying. And as adults, that fear and anxiety of speaking in front of others can come back in a flash. Stage fright is even a problem for experienced public speakers and actors. Donny Osmond, for example, used to suffer from stage fright so bad he used to have panic attacks ON STAGE while performing Joseph and the Amazing Technicolor Dreamcoat. Thankfully, he got over it. And if you suffer from stage fright, even if it is a fear of talking to people across the internet, you can too. A webinar is essentially an online seminar. It accomplishes the exact same goals, just at a fraction of the cost of a full, in-personal seminar. In a webinar, you are going to deliver a “live” presentation to your clients and potential customers. You will have slides, talking points, handouts, a script, and upselling goals, just like in a seminar. The difference is that you will be sitting in your comfy chair at home while you do it! Does It Have to Be Live? One of the main reasons why webinars are so effective at positioning you as an expert is because you’re doing it live. Most people can do some research and write a blog that sounds half-way credible. But if you really want to show off your knowledge and experience, a live webinar is the best way to go! Of course, you can always create an evergreen webinar down the road that runs on automation, but baby steps! You have to practice your presentation skills before your webinar will be good enough to run on its own! Even though you won’t be getting up in front of people to speak, hosting a webinar can trigger all of the same fears and insecurities as an in-person presentation. You’re going to be the center of attention, talking to a group of people who are hanging on your every word (hopefully). That can be super stressful! You might worry that you will forget your talking points, or that your voice will sound weird, or that you will freeze and not know what to do. First, let’s tackle a fear that you will forget your talking points. There is a super simple way to make sure that you don’t forget and that is to have a well-designed and comprehensive slide. Your audience will be looking at the slides, not you, so as you go through the webinar. This means that you will have a handy “cheat sheet” right onscreen as you go! A virtual assistant can design attractive and well-laid-out slides that will keep you, and your webinar, on track. If you’re feeling insecure about how you sound, you should know that NOBODY likes how they sound when they are recorded. Believe it or not, the voice we hear in our head when we speak isn’t the voice that other people hear. Even professional singers with years of training hear their own voice and think, “Ugh, people pay to hear that?” It can be a huge relief to know that you’re in the same boat with everyone else when it comes to the sound of your voice. Finally, what about the fear that you will freeze and look dumb in front of all of these people. There are two ways a virtual assistant can help you out here. One, a virtual assistant can handle all of the technical aspects of the webinar so you can put your full concentration on your presentation. Rather than having to worry about chats, slides moving, microphone levels, etc., a virtual assistant can have you covered. Two, a virtual assistant can write you a complete script for your webinar. You don’t have to present a webinar off the top of your head. Instead, you can have an exact script that you can read while the webinar is on, taking away the “on-the-fly” fear. You also need to keep in mind that webinars get better with practice. Like all things, the first time you do something isn’t going to be flawless. You will make small mistakes, tiny errors, and you will end up with something that isn’t perfect. And that’s ok. Because the experience you gain from presenting your first webinar will just mean that the second one goes even better. And then by your third webinar, you’ll be an old pro! If you simply feel that you’re not yet up for presenting a webinar, there are other options you can use to reach out to your customers and clients. The first one is to do YouTube videos. Unlike webinars, which are live, YouTube videos can be recorded way in advance. If you mess up, no problem. You can just start again. This allows you full control over what ends up “on screen.” If you are worried that you might ramble on for a bit, I can help you with a professionally-written script that incorporates all of your talking points. If you still feel that you aren’t comfortable speaking on camera, I might be able to help here too. As a digital marketing professional, I can give you some tips and tricks that you can use to create YouTube videos that make for fantastic marketing content. Coaching can help, you just need to reach out to the right person. Finally, if you’ve decided that there is absolutely no way that you are going to be recorded either on video or audio, you still have a fantastic option to position yourself as an expert: an online course. In it, you can compile all of your information and knowledge, creating a course that will teach your clients what they are looking for. This option requires extensive copywriting and copy editing, but that’s what a virtual assistant is for, right? 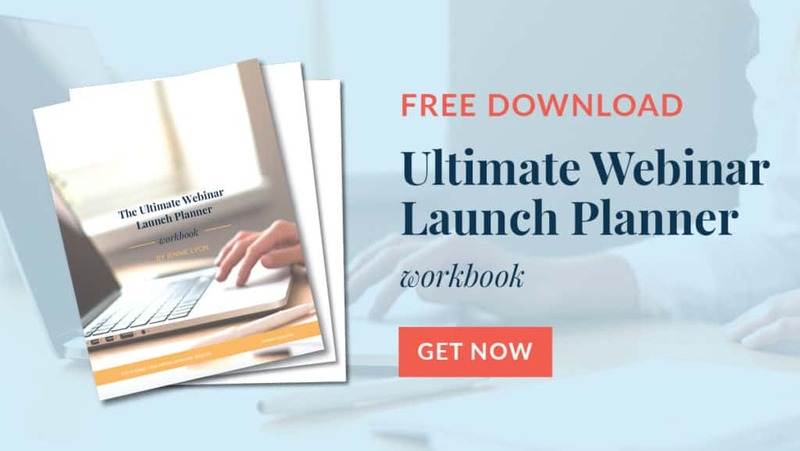 If a webinar is something that you want to explore, I can help you get started with my free step-by-step guide to webinar creation. In it, I lay out every step you need to take in the creation of a webinar, from the moment you start researching to the point where you deliver it live to your clients! If you’d like a hand creating a webinar that will bring in new clients and help position you as an expert online, I can help. Feel free to contact me today and we can get started pushing past your stage fright to create a webinar that will show off your knowledge to the entire internet! Jennie Lyon is the owner of Jennie Lyon Digital Marketing & Virtual Assistant Services. A full-service digital marketing & virtual assistant firm that can handle all your business' needs, including product launches, sales funnels, social media, email marketing, copywriting, graphic design, and more!